News has it that a man identified as King Onwa, who is a Nigerian artiste based in Austria has been punished by Imo villagers for disrespecting their king, after when he returned home on vacation. This incident has been termed as a really embarrassing development. The Austria based Nigerian artist has been beaten by Imo villagers for allegedly insulting their king and the Amukamara royal family on social media. 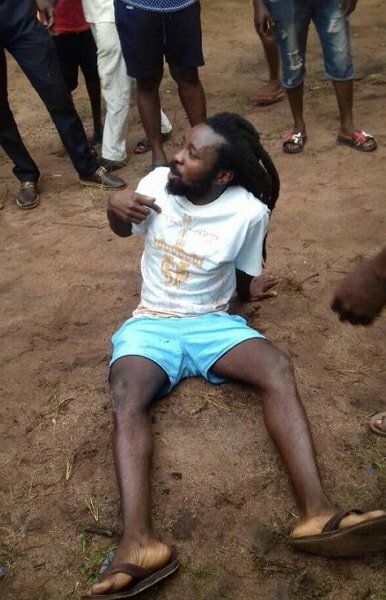 One of the physical features of the musician is his dreadlocks, as seen in the photo below,his dreadlocks was cut off by Awo-omamma youth in Imo State. Reports shows that the musician previously criticized the King using the social media,precisely Facebook. According to the musician in a video,he said people had been telling him not to visit the community, or else he would be seriously dealt with. 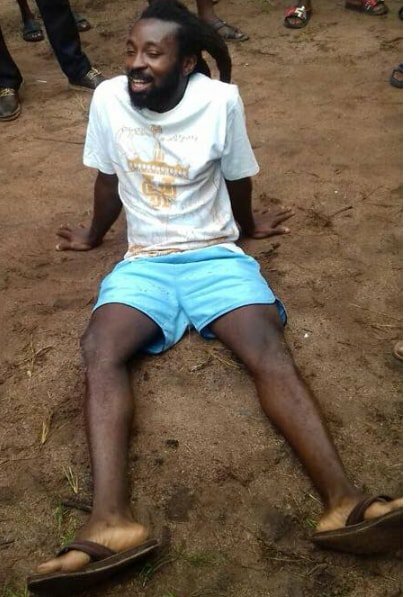 He also revealed that the youth told him that they would cut his dreadlocks.He seemed to be Unbothered by their threats, he visited the village,Awo-omamma, recently, he was caught by the village youths who threatened to beat him up. Meanwhile they executed their aims by beating him up and cutting his dreads.